Ken Ham‘s Creation “Museum” in Kentucky has been a source of embarrassment for those of us in the U.S. since it opened its doors in 2007, but Ham is now targeting a new demographic: Canadian homeschoolers. Ham has been invited to be a keynote speaker at the Alberta Home Education Association (AHEA) convention, meaning homeschoolers all over Canada (Christian and non-Christian alike) will be exposed to his brand of science denial. The same group previously invited the Duggar family, according to CBC News. An Alberta homeschooling group that came under fire in 2016 for booking controversial reality-TV couple Michelle and Jim Bob Duggar for its annual convention is again facing heat — this time for inviting a leading U.S. creationist to speak. 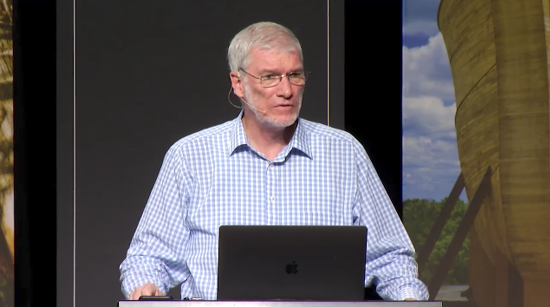 Ken Ham is listed as one of three keynote speakers at the annual Alberta Home Education Association (AHEA) convention next April in Red Deer. As CBC pointed out, there has already been substantial backlash. Some locals have called for Bill Nye to intervene, since he debated Ham and dispelled his myths, while others have encouraged atheists to protest the event. 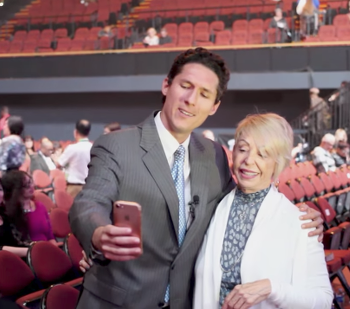 This is a big deal because Canada isn’t as heavily religious as the United States. And those who are religious don’t tend to be fundamentalists (although there are, of course, exceptions). A study from 2012 showed the differences in beliefs between different countries when it comes to evolution and Young Earth Creationism. In a recent survey by Angus Reid Public Opinion, it seems the answer to this scientific — or religious — question is not quite settled. According to the findings, 61 per cent of Canadians and 69 per cent of Britons think human beings evolved from simpler life forms, while just 30 per cent of Americans agree. If Ham and other Creationists invited to AHEA have anything to say about it, these numbers could change and Canada could look more like the United States when it comes to fundamentalists. That could hurt the education system in Canada, where public schools have so far remained essentially free of Creationist materials. This is also important because AHEA isn’t specifically a Christian organization. Although the “secularization” of schools has always been one of its concerns, there are non-Christian homeschoolers in Canada who look to that group for standards on educating their children. The problem isn’t homeschooling. The problem is pretending that Ham’s revisionist history and fake science represents a credible perspective that homeschooling parents ought to know more about. If they’re not familiar with the topic, this would be disastrous for them, and subsequently awful for their children. Hopefully the people of Canada are smart enough to realize the mistake their neighbors to the South have made far too many times: Ham isn’t a scientist, he doesn’t understand the subject, he doesn’t surround himself by people who produce papers and are considered credible in their fields, and he’s the last person parents should look to when teaching their kids about science. 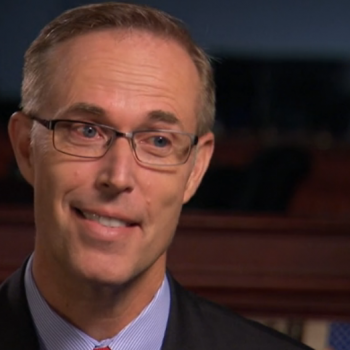 Rep. Jared Huffman Announces He's a Humanist: "I Don’t Believe in God"